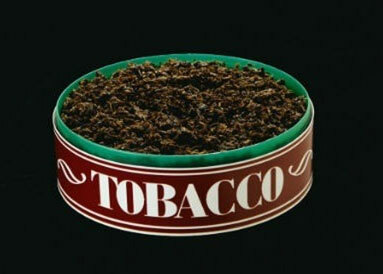 NOIDA: Given what they term a “disturbing initiation” of the younger generation to smokeless tobacco (SLT) products, experts have suggested that the Union government undertake periodic surveys among youths for monitoring the use of such products, and completely restrict their loose sale. Another major recommendation is the promotion and funding of ‘Quit Lines’ — a confidential and free-of-cost service along the lines of Alcoholics Anonymous for those who want to quit smoking — under the National Tobacco Control Programme (NTCP). Experts also suggested that the government study the impact of taxes under the GST regime on the sale of such products. As reported by TOI on Tuesday, a 27-member group of experts recommended a ban on the advertisement of pan masala and areca nut (supari) in a national conference on SLT control in Sector 39. The recommendations follow brainstorming at the two-day conference, ‘Priorities in Smokeless Tobacco Control Research and Training needs’, hosted by the National Institute of Cancer Prevention and Research (NICPR) in Sector 39. Other major recommendations of the experts from around the country included standardisation of all tobacco packs with minimum quantity for sale (in weight or unit as applicable), sale of SLT products in large tin packs, and research for setting minimum floor pricing of tobacco products. They also suggested that the cessation of SLT and areca nut products be included in health and development programmes like Rashtriya Kishor Swasthya Karyakram, Revised National Tuberculosis Control Programme, and National Programme for Prevention and Control of Cancer, Diabetes, Cardiovascular Diseases and Stroke. “There is a need for inclusion and integration of SLT and areca nut cessation under other health and development programmes,” read a report from the NICPR. “The recommendations will be shared with key stakeholders and policy makers in the central government for further action,” NICPR director Professor Ravi Mehrotra said.